Very exciting and close games follow below. Take a look and follow the thread for more. New Version brings automations improving the playing of Solo Ops Missions. To start a solo op, you need to have one of your agents targeted when you play the card. That agent will automatically be set as the attacker. PS: Oh and I’ve fixed that bug where your agends wouldn’t unparticipate from missions via the shortcut. the 1.0.5.0 Update introduces the Rando Cardrissian house rule to the game. To enable Rando (it’s off by default), right-click the table and choose the Rando option in the menu. Having Rando enabled will add an additional, random answer to the table to choose from. Rando’s score is tracked by the game. 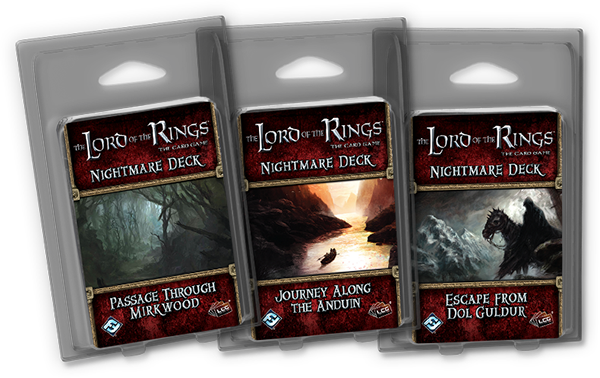 The Core set Nightmare quests have just been released by FFG.